The votes are in: Which mobile data provider is best? Hulu's experience chief this week compared mobile video users and traditional TV viewers. He also addressed one of the company's biggest shortcomings: the inability to download Hulu content for offline use. SAN FRANCISCO — Hulu's Senior Vice President and Head of Experience Ben Smith spoke yesterday at the Open Mobile Summit, a mobile marketing event on the University of California, San Francisco campus, and discussed the company's take on mobile video consumption versus traditional TV-type viewing, as well as a number of key challenges the company is working to overcome. Hulu's massive user base employs a wide variety of different devices to consume its content, including internet-connected TVs, smart TVs, set-top boxes, PCs, laptops, tablets and smartphones. But Hulu also has a group of "mobile native" customers, or people who watch video occasionally on their TVs or computers, but mostly stream programming on mobile devices, specifically phones, according to Smith. When it comes to smartphones users, Hulu wants to know where people are when they watch video, according to Smith. "That's what really dictates what happens next," he said. "The usage of a phone when you're sitting on a bed or a couch is completely different than when you're sitting at a bus terminal or your office." People who watch Hulu on their TVs also interact with the service in very different ways than on mobile users, according to Smith. "In the living room, you have a remote control … You just want to sit back and be entertained, so people are more likely to browse. Phones are more interactive," and there's "less of a desire to explore and more of a desire to jump into consumption early." In terms of what people watch on mobile, Smith said Hulu sees a bit of a user bias toward short video clips, but in general mobile viewers watch the same types of content as TV or PC viewers. "People like shows," Smith said. 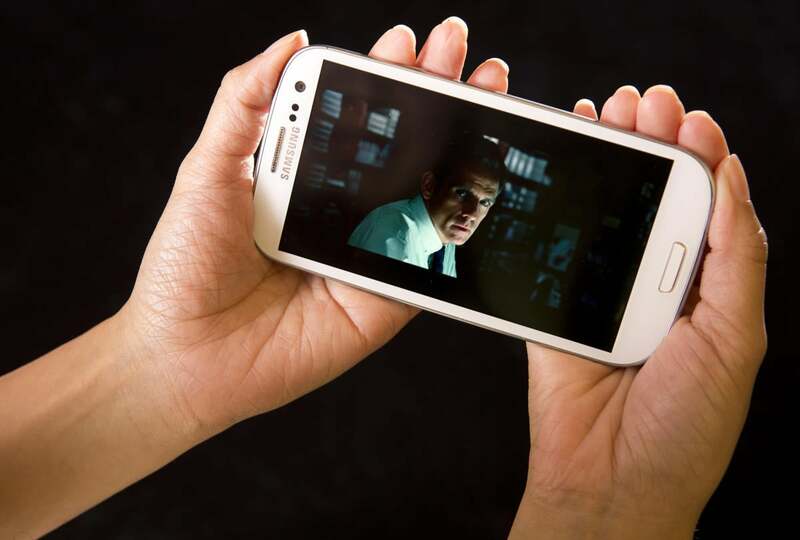 "We don't see any kind of gigantic difference in what people watch [on mobile]. Hulu's user interface and experience on mobile is necessarily different than what people have come to expect from years of watching TV, or "the big rectangle," Smith said. "There is a general truism to video [that it] wants to be on the best screen that you have. Video design on phones has been about taking that big rectangle and shoving it into your phone, which is 'the little rectangle.'" That approach is misguided, according to Smith, because phones are completely different devices, with different input types, and new sense of user location and consumer mood. "For us, when we start thinking about mobile devices, it's really about understanding a sense of place," he said. "Our job at Hulu is to get you into the most interesting and compelling thing to watch, at that time, where you are, whatever device you're on." Hulu is hugely popular among streaming fans. As of last May, the company said it had roughly 12 million paying customers. But a common complaint exists among many of those people: Subscribers cannot download Hulu content to watch offline. Smith says Hulu is well-aware of the problem. "We're working on it, and we're not alone," he said." We'll get there, for sure, in our industry." Offline viewing also isn't only about the capability to watch a TV show on a cross-country flight, according to Smith. Instead, it's just as much about bandwidth. "There's an experience that we're all familiar with, we sit in an airplane, we're on a long car ride, we want to watch our favorite show," he said. "I actually think offline is more interesting in relation to bandwidth, and how people consume bandwidth." The capability to download Hulu video on a home Wi-Fi network and then watch it offline later could go a long way to reducing unnecessary bandwidth drain. Hulu is working with many companies to find the right solution, and it's investing heavily to that end, Smith said. "If you look at predictions for 2017, I think [bandwidth] will be the hot topic, both in public policy, in mobile and in app design."